What is gelato? 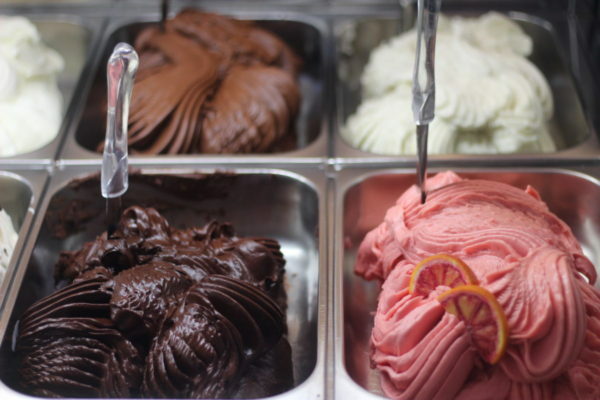 There is a common misconception that gelato is just ‘ice cream’ translated from the Italian. This is not actually the case. Authentic Italian gelato is a different product to ice cream. We make gelato with less cream and more milk. The fat content is lower than ice cream. 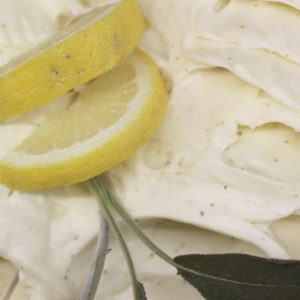 This means gelato does not need to have as much air whipped into it to create its soft, rich texture. 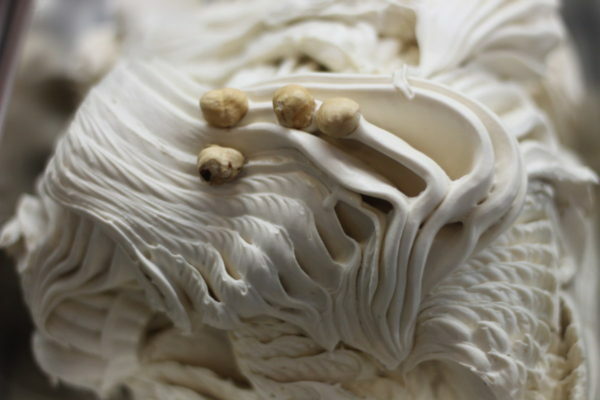 The mantecazione process is the name for the way we churn the gelato. It is gentler than churning ice cream. 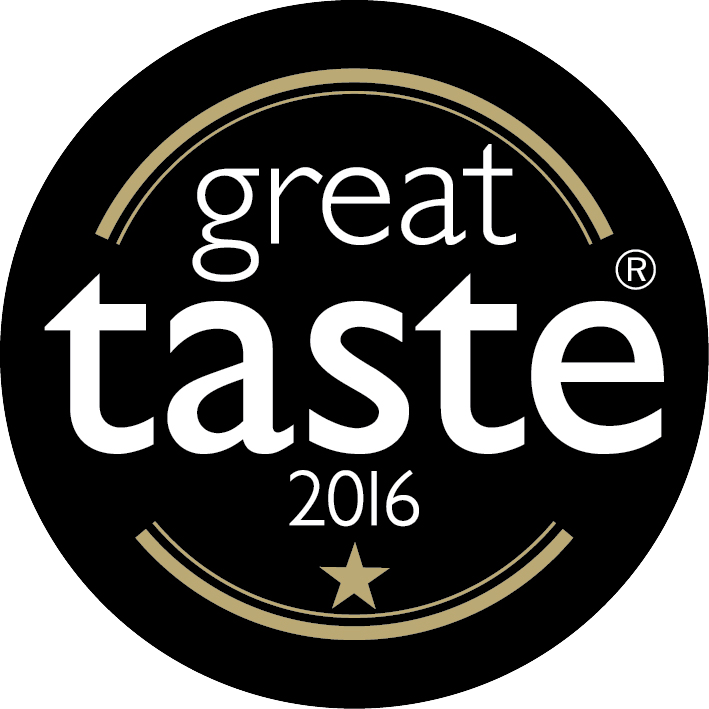 So, we can add more subtle flavours – all from real ingredients. A tiramisu gelato, for example, is not ‘tiramisu flavour’. Instead we make it using the same ingredients you find in the traditional Italian pudding. We put the ingredients together in a different way. Here at Gelato Village, we only use the highest quality ingredients. We never use commercial pre-mixed bases or flavour powders. Nor do we use any artifical stabilisers or preservatives. Our vegan-friendly dark chocolate sorbetto uses the fibres from the cocoa husk as a natural stabiliser. This gives a rich texture and good structure. All this means that our gelato is a fresh, seasonal product. We never keep it for more than 72 hours. But in our gelateria, a pan rarely lasts that long! The final element in the balance of gelato making is temperature. We serve our gelato at a higher temperature than ice cream. That temperature is minus 12 degrees. This contributes to its velvety and decadent mouthfeel. The skill of the Maestro Gelatiere is in developing recipes that perfectly balance the ingredients. He must create a harmony between the fat content, temperature and the amount of air in the gelato. Getting this balance right, and allowing all the flavours to shine creates the perfect eating experience. Our Maestro Gelatiere, Antonio De Vecchi, trained at the Carpigiani Gelato University in Bologna. He develops all our recipes at in the Gelato Village Laboratory. 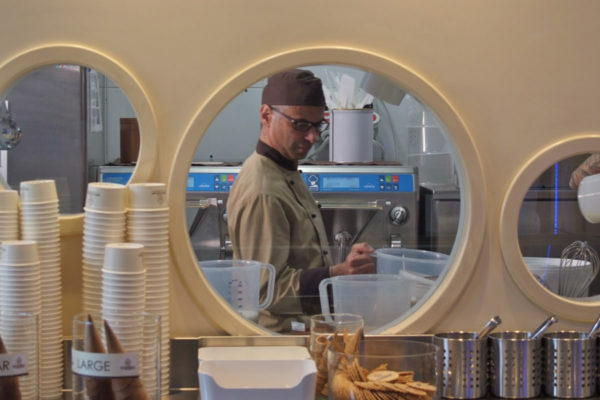 Italians call the place where they make gelato ‘il laboratorio’. The mantecazione method of making gelato slowly churns our gelato. This incorporates less air, giving a rich, velvety texture. 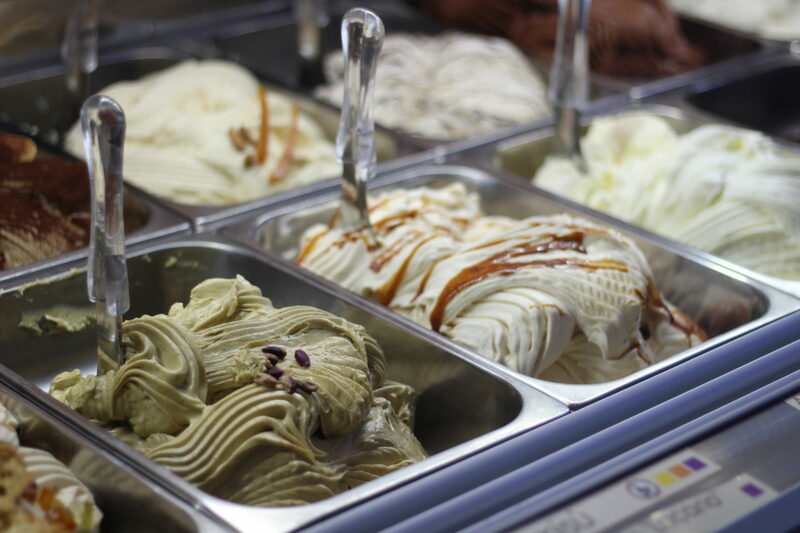 It also allows us to use delicate flavours that can shine through in the finished gelato. An example of this is our popular Mango Lassi gelato. This won third place at the Gelato Artigianale Festival in Agugliano Italy in 2016. The gelato contains kesar mango from India, along with yogurt and cardamom. The cardamom flavour runs through the whole gelato, without overpowering the delicious flavour of the mango. Another example is our Bee Happy gelato – which won third place at the Gelato Artigianale Festival in 2017! 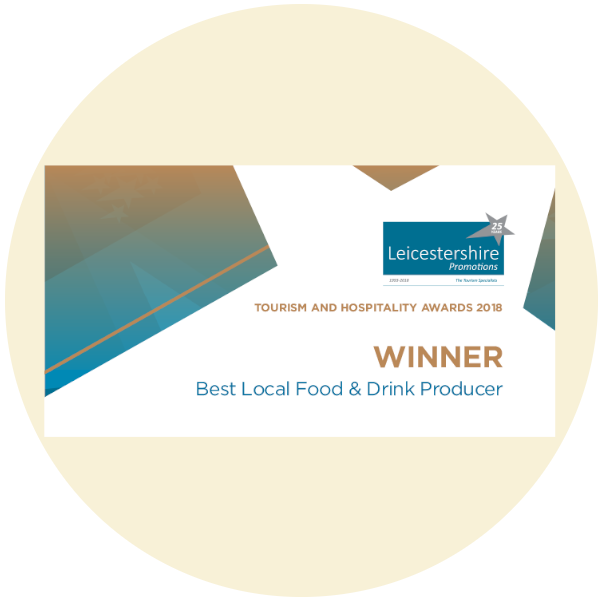 This is a mix of delicious Leicestershire honey from The Bee Farmer with lemon. These strong flavours are balanced with a touch of sage. This delicate flavour adds a floral, almost earthy note to the balance. 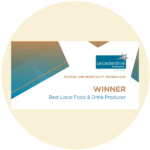 It complements the complexity of our local honey perfectly. Without using the mantecazione process it would be more difficult to ensure these fresh flavours dance together so well. It is vital that our ingredients, the building blocks for our gelato, are the very best they could be. We do not use any artificial flavourings, preservatives or stabilisers. We search tirelessly throughout the year for the very best seasonal fruit for our gelato and dairy-free sorbetti. In the summer, British berries are the best! The honey mango season is quite long, so these Pakistani fruit go into sorbetto for about 3 months. The kesar mango season is much shorter, so our mango lassi gelato made with kesar is only available for about 4 weeks a year. As well as seasonal fruit, we take care sourcing the best quality nuts and chocolate for our other recipes. Being from the Piedmont region of Italy, we believe Piemontese hazelnuts are the best! So that’s where we get them from. 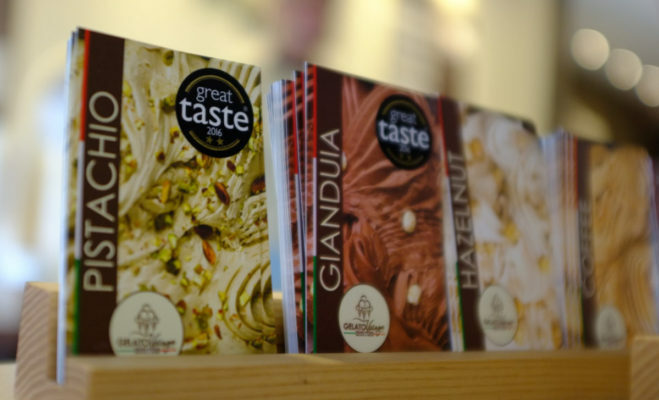 Their astonishing quality sits alongside pistachio from Sicily. We source Sur del Lago chocolate from Venezuela... Is this making you hungry yet? 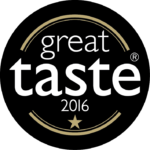 Why not pop in to Gelato Village for a free taste?